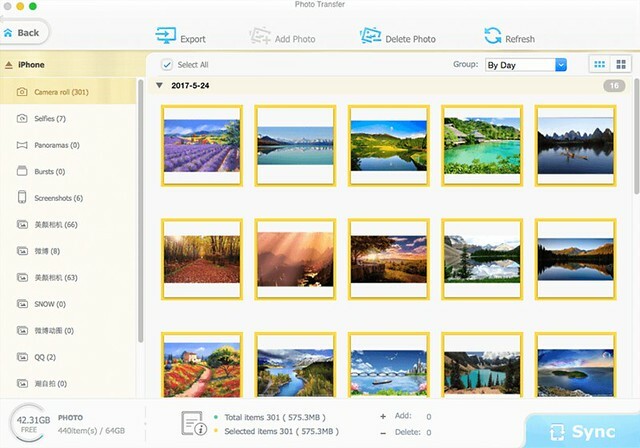 Today on SocialPositives.com, we are reviewing MacX MediaTrans a great tool to Backup iPhone to Mac. It can Transfer Photos from iPhone to Mac in the Fastest Speed than you imagine. Using MacX MediaTrans is one of the fastest ways to transfer your precious photos, videos, and music between iPhone, iPad, and Mac. Are you ready? If you are on a plan to upgrade your current iPhone to iPhone 8, 8 Plus or iPhone X, I highly recommend you to back up the important photos, videos, music, from your old iPhone before the upgrade. Yes, MacX MediaTrans can be your iTunes alternative. What can you do with MacX MediaTrans? Here we go with some of the notable features of the software. MacX MediaTrans is your iTunes Alternative. The major concern for the users is back up and save their precious photos and videos to a safe place. I’m sure a 5 GB free iTunes storage space is not enough for most users. 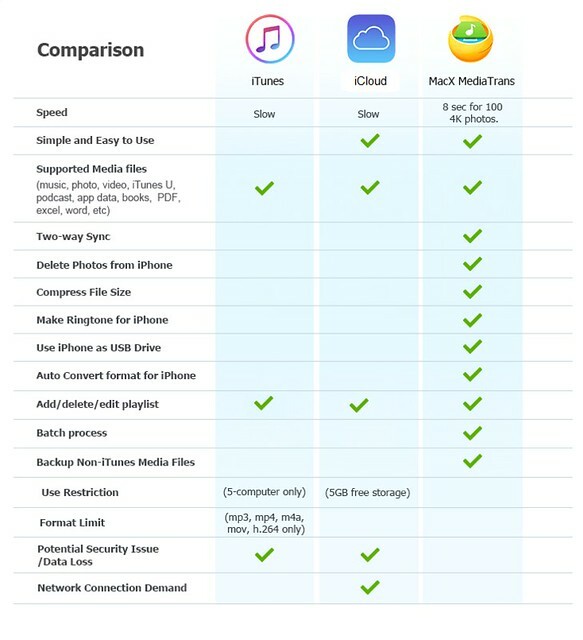 Here is a smart comparison between the iTunes and MacX MediaTrans. MacX MediaTrans is the best way to transfer photos, videos, and music between iPhone iPad and Mac. It has the capabilities to transfer 100 4K Photos in just 8 seconds. I use MacX MediaTrans to backup iPhone photo to PC without iTunes. It helps you to free up iPhone space means you can backup iPhone 6/7 to iPhone 8, 8 Plus or to iPhone X. Ready to enjoy ioS 11? Here we go how to Backup your iPhone Photos. 1. 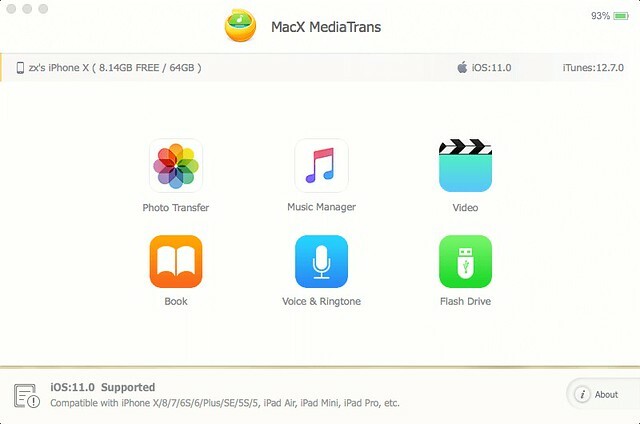 Download and Install MacX Media Trans from the official site. 2. We suggest you use an original Apple iPhone USB cable. 3. Click on Photo Transfer. Clicking on the Photo Transfer will open all the photos on the device. 4. Select the photos you want to transfer or opt Select all to select all images. Hit Sync and you can see the photos in a MediaTrans folder in your Pictures library. You can change the location if you wish. In the whole iPhone photo to PC transfer, we do not need iTunes anymore. 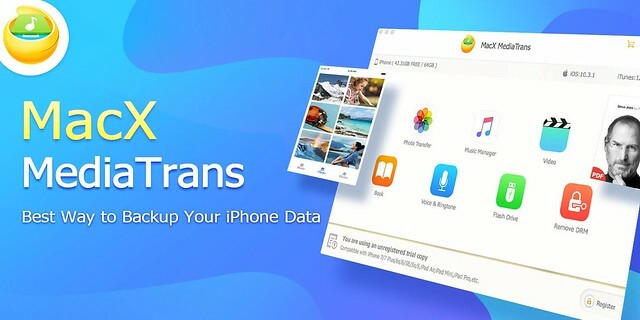 You know with MacX MediaTrans, you can easily backup and transfer photos, videos, music, ebooks, podcast, Voice Memos, etc between iPhone and Mac without iTunes. 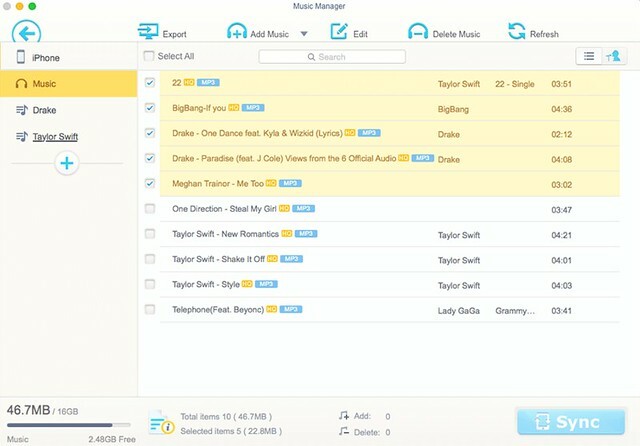 If you are a Music Lover, using MacX MediaTrans can help you to backup your favorite Music easily. The fact that iTunes won’t let you copy Music. But MacX MediaTrans helps you to take the copy of music from your iPhone into your computer. How to Backup Musics? Let’s check this. 1. Click Music Manager from the software frontpage. 2. Select Music you wish to Backup. That’s it. You are done. MacX MediaTrans is not just a tool to backup photos and videos, but a great software comes with a bunch of other features. You can Transfer Videos from iPhone to Mac and Vice Versa. You can manage eBooks like saving eBooks, iTunes U, voice memos and podcast in iPhone on Mac. We recommend all SocialPositives.com readers to download MacX MediaTrans with a Fully Functional 15-Day Free Trial now. It is a great opportunity to use the full version of the software for absolutely free. MacX MediaTrans is a great tool to manage your all digital things on iPhone or iPad. The highlight is you won’t need to install iTunes but you can backup and sync media content between iPhone/iPad and PC. It is the best digital thing that exists to manage iPhone files. I’m sure you won’t regret your purchase because MacX Media Trans is a class in its genre.